The fourth vintage at the Studio saw a major change in landscape as Lynn Penner-Ash departed the scene to inhabit the newly built Penner-Ash winery on Ribbon Ridge Road. Boedecker Cellars and L’Ecosse, however, entered the scene to fill the space as well as other incremental increases. 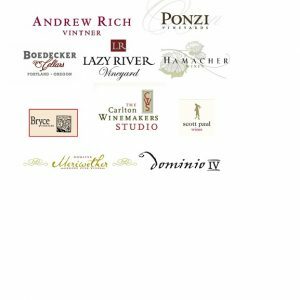 Andrew Rich Vintner and Dominio IV had the biggest tonnage that year, with a combined total of 47% of all of the grapes processed at the Studio in 2005. Scott Paul came in third with almost 30 tons of fruit. It was an abundant vintage, with total tonnage only slightly below the 2004 harvest, but with 13 producers there were more moving parts to deal with during the crush. Ponzi used the Studio for their overflow that year, processing 20 tons of grapes through the winery. Who made wine at The Studio?